Road Planings, or scalpings as they are also known, are a by product of resurfacing our roads and highways. They are an extremely cost effective way of creating temporary hard standings and car park areas. You can also use them to fill all those annoying potholes down tracks and alleys, to give passing vehicles a bit of relief from the bumps. 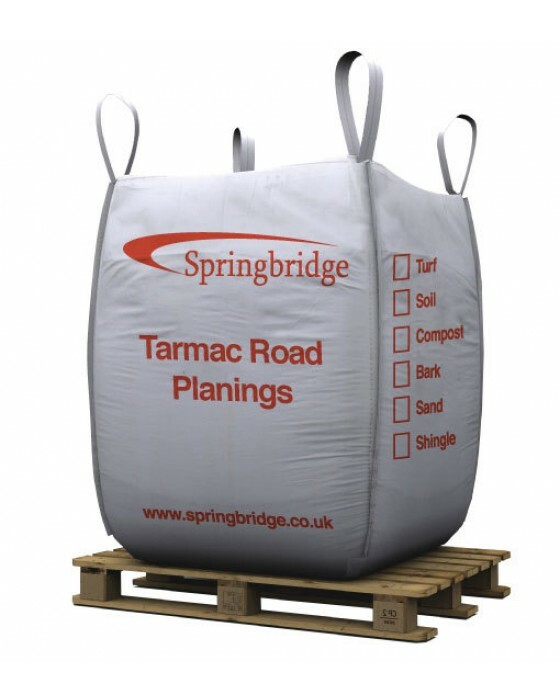 - Bulk Bag Dimensions: 950mm x 850mm x 750mm and have a maximum capacity of up to 1 ton when packed. Just a note to say thank you. As a first time customer, I was delighted with the ease of ordering from your website (prices not too bad either), and t..